Käthe, Kaethe, or Kathe Kruse? What's in a name? In this case, quite a bit of confusion perhaps. Of course we know just from looking at the logo that the brand name is spelled Käthe Kruse. But with the limited character set of the internet and American English keyboards we run into some problems. This entry was posted in News and tagged language on October 31, 2013 by Randall Hertzler. Today we deploy a new feature at kathekruse-usa.com - quick and easy access to a new products listing. This entry was posted in News and tagged features on September 26, 2013 by Randall Hertzler. 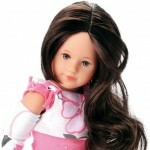 Starting today we are offering a promotion for the Marie Kruse Stylista dolls. 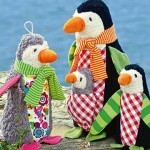 This series introduces a new concept from Germany allowing your doll lover to create clothing combinations and personal fashion with pre-sewn clothing kits. This entry was posted in Products, Promotion and tagged dolls, fashion on August 30, 2013 by Randall Hertzler.